Central Board of Secondary Education (CBSE) has been issued the notification for CBSE National Eligibility Test (NET) and Junior Research Fellowship (JRF) exam 27.12.2015.Online applications will be starts from 01.10.2015 and the last date for application is 01.11.2015.Fee can be deposit up to 02.11.2015 any branch of (Syndicate Bank/ Canara Bank/ICICI/HDFC Bank) or through credit/debit card.As per notification the examination will be scheduled on last Sunday of 2015 at various exam centres in India.It is notable that University Grants Commission has assigned to the Central Board of Secondary Education the responsibilities for conducting the UGC NET vide letter no.F-4-1/2012 (NET) Pt.File dated 06.08.2014.As per notification the candidates who desire to appear in the NET/JRF test may see the detailed the notification for UGC NET JRF examination at www.cbsenet.nic.in. Central Board of Secondary Education (CBSE) has been issued the result of National Eligibility Test (NET) and Junior Research Fellowship Exam 28.06.2015 appointment of Assistant Professor in Colleges and Universities.Now candidates can be seen their result at official website of CBSE www.cbsenet.nic.in.Final Answer Keys are also available on website.It is notable that this examination was held on 28.06.2015 (Sunday) at various exam centres in India.Candidates had been waiting their result for a long time.University Grants Commission (UGC) has assigned to the Central Board of Secondary Education the responsibilities for conducting the UGC NET vide letter no.F-4-1/2012 (NET) Pt.File dated 06.08.2014. Advertisement No.01/2015 Category No.01.Staff Nurse -912 posts (Re-advertised). Date of Written Test and Time-25.10.2015 at 11:00 AM to 12:30 PM. Venue of Test-Panchkula,Ambala and Kurukshetra. Venue of Test-Yamunanagar and Kurukshetra. Board of School Education Haryana has been uploaded the exam duty to Centre Superintendent and Supervisors for conduct September 2015 Secondary/Senior Secondary 1st semester exam.1st Semester is going to start in all districts of Haryana at various centres for re-appear as well as regular students.The duty of Superintendent wide letter No.18111-19222/C and duty of Supervisors wide letter no. 19224-33489 dated 25.09.2015 are now available on the official website of Board of School Education,Haryana www.hbse.ac.in.The duty letter shows the allotted centres of exams to the supervisors.It is notable that the First Semester exam of Secondary class will be starts from 29.09.2015.According to the directions issued by Secretary of BSEH these appointments are Compulsory.As Per Directions Issued By Commissioner And Director General,Education Department,Haryana,Chandigarh,these duties Can't Be Changed.All The Supervisors will have To report to the Centre Superintendent/Chief Superintendent at 10:00 AM on 28.09.2015 ( One Day Before Exam).They will be entitled To TA/DA as per rules of the Board. Reservation-For UR-03,SC-01,ST-01 and for OBC Non Creamy Layer-01 Post. Qualification-3 years full time Diploma in Civil/Electrical/Mechanical Engineering discipline with at least 60% marks.50% in aggregate for SC/ST candidates. Upper Age limit as on 01.09.2015-33 Years. Medical Benefits-Reimbursement of premium for Mediclaim Policy of Rs.2 Lakhs for self and family members. Period of contract-The posts are purely temporary in nature and offered on Fixed Tenure Basis for a maximum period of two years and it is not against any permanent vacancy. Application Fee- Rs. 200/- (Rupees two hundred) is to be paid through SBI collect (online link). No application fee need to pay by SC/ST/Physically Challenged Candidates. 19 C,Tulsi Ganga Complex,Vidhansabha Marg,Lucknow,U.P. 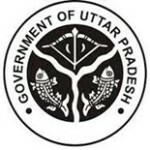 Reservation of posts as per U.P. Govt. rules. Age as on 01.07.2015-21 to 40 years.Relaxation as per rule. Qualification as on last date of application-Having Graduation Degree with minimum 50 % marks from any recognized University. Mode of selection-Documents + Physical Fitness Test + Written Test. Physical Fitness-Height for male candidates 168 cm for SC candidates 160 cm. The Oriental Bank of Commerce (OBC) is going to recruit 05 Security Guard.The last date of application is 05.11.2015. These posts are for OBC Branches situated at Bulandsehar,Ghaziabad,Gaoutambudh Nagar. Qualification-Qualified 10th exam,but not qualified 10+2 or other Higher Examination. Other qualification-He should be Ex-servicemen from Indian Army.Physically fit for above posts.Having good character during job period.Not looking fat.Preference will be given to candidates having outstanding performance. Physical Fitness-Height 6 feet and more.Experience in war/emergency/counter proxy war. Age as on 31.01.2014-Not more than 45 years. For General-21,SC-04,ST-04 and OBC-15 Posts. Last date of receipt of printout in Delhi High Court-12.10.2015. Pay Scale-9300-34800 + Grade pay 4600/- and other allowances. Essential Qualification - Graduation from any recognized university and having speed of minimum 100 word per minute in Shorthand (English) and 40 word per minute in typing in English on Computer. Mode of Selection : Selection shall be made on the basis of written test + skill test + interview.Only short-listed candidates will be called for interview. Subject area for written test-One paper in English Language (Essay, Grammar and Translation). Qualification-Full Time B.E./ B.Tech/ B.Sc (Engg.) in Electrical/ Electrical (Power)/ Electrical and Electronics/ Power Systems Engineering/ Power Engineering (Electrical) with 65% marks. Qualification-Full Time B.E./ B.Tech/ B.Sc (Engg.) in Electronics / Electronics and Communication/ Electronics and Telecommunication with 65% marks. 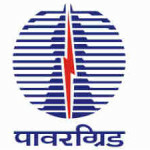 Qualification-Full Time B.E./ B.Tech/ B.Sc (Engg.) in Civil Engineering with 65% marks. Qualification-Full Time B.E./ B.Tech/ B.Sc (Engg.) in Computer Science/ Computer Engg./ Information Technology with 65% marks. Bachelor of Library and Information Science. Course Duration-1-Year.Mode-Annual. Bachelor of Commerce (B.Com. )Course Duration-3 Years.Mode-Annual. Master of Arts (M.A.) Previous and Final.Subject-Hindi,English,Sanskrit,Political Science,Public Administration, Economics, History.Course Duration -2 Years.Mode-Annual. How to apply-Apply online at MDU Rohtak website. For UR-202,for OBC-108.for SC-60 and for ST-30 Posts. For UR-76,for OBC-63,for SC-42 and for ST-17 Posts. Qualification-Full time Bachelor,s degree with Physics and Mathematics with 60% marks in Engineering /Technology in Electronics/Telecommunications/Electrical with specialization in Electronics. Water Board Vikram Sarabhai Bhavan, 4th floor, Anushaktinagar, Mumbai-400 094. Qualification-Matriculation + Minimum speed of 100 word per minute in English Shorthand and 45 wpm in English Typewriting. Age as on 01.08.2015-Not more than 27 years.Pay Scale-Rs.9300-34800 + Grade Pay 4200/-. Qualification-Matriculation + Minimum speed of 80 word per minute in English Stenography.Typing speed in English of 30 words per minute. Age as on 01.08.2015-Not more than 30 years.Pay Scale-Rs.5200-20200 + Grade Pay 2400/-. Qualification-Graduation with 50% marks.Knowledge of Computer Data Processing. Age as on 01.08.2015-Not more than 27 years.Pay Scale-Rs.5200-20200 + Grade Pay 2400/-. Qualification-Matric + valid driving licence to drive heavy vehicle. Region-wise posts-Northern-17 male and 200 female,Western-11 male and 58 female,Eastern-05 for male and 03 for female,Southern-02 for male and 35 for female candidates. Age limit as on 01.09.2015-18 to 27 years.for SC/ST & 18 to 32 Years for OBC Candidates 18 to 30 years. Qualification-Passed 10+2 from any recognized Board/University. Fluency in English and Hindi must for these posts. Marital status-Only unmarried candidates are eligible for these posts. Contract base job-Selected candidates will be appointed on contract for a period of five years, contract extendable for another five years on the base of good performance. Qualification-1st Class B.E./B.Tech/MCA in relevant discipline OR DOEACC ‘B’ level with minimum 1 year of post qualification work experience OR Post graduate Degree in Computer Science/IT/ Electronics/Computer Applications with at least 1 year of post qualification work experience. Age limit-Not more than 32 years.. Consolidated Salary-37000/- per month. Qualification-1st class B.E/B.Tech/MCA with atleast 3 years of post qualification work experience OR DOEACC ‘B’ level with 4 years experience OR DOEACC ‘C’ level with one year of experience OR Master in Technology (M.Tech)/Master in Engineering (M.E.) OR Ph.D in relevant domain. Project Engineer-III -01 Post,. Age limit-Not more than 35 years. Under Ministry of Textiles,Government of India. For SC-1 Post, OBC-2 Posts and UR-6 Posts. Age limit-Not exceeding 30 years.Relaxable for Govt. Servant upto 40 years. Qualification-Matriculation from a recognized Board + Eight years experience. Qualification-Matriculation from a recognized Board or Industrial Training Institutes (I.T.I.) Diploma with Screen printing/Textile Printing/Fabric Printing or Block Printing Trade + 5 years experience. Zone-wise detail- For Ahmedabad Zone-07 Posts,For Bengaluru Zone-15 Posts,For Hyderabad Zone-08 Posts,For Sriharikota Zone-13 Posts and for Thiruvananthapuram Zone-26 Posts.Total-69 Posts. Pay Scale-5200-20100 + Grade pay Rs. 1900/-. Zone-wise detail- For Ahmedabad Zone-03 Posts,For Bengaluru Zone-04 Posts,For Hyderabad Zone-00 Post,For Sriharikota Zone-17 Posts and for Thiruvananthapuram Zone-16 Posts.Total-69 Posts. Staff Car Driver-03 Posts.Zone-wise detail- For Bengaluru Zone-03 Posts. This post is unreserved in Law & Legislative Department. Age as on 09.10.2015-18 to 42 years.Relaxation as per govt. rules. These posts are for District Institute of Education & Training (DIETs) in Secondary Education Department, Haryana.Qualification-Master degree with 55% marks + B.Ed/M.Ed with 55% marks+ Knowledge of Hindi or Sanskrit upto Matric + Experience. Age as on 09.10.2015-Maximum 45 years.Relaxation as per govt. rules. These posts are under Prosecution Department, Haryana. For OR-02,for SC-01 and for OBC-01 Post.Number of posts can increase or decrease. Pay Scale-10300-34800 +3600 with initial start of 10300/- Fixed monthly emoluments during the period of probation. Qualification-Matric or 10+2 with Physics and Chemistry + Two years Veterinary diploma course from any University/Institution recognized/approved by council. Application Fee-200/-for UR and OBC candidates and Rs.100/- for SC candidates.Demand Draft should be in favour of Joint Director, Animal Husbandry, Chandigarh Administration. TGT Social Science-01 Post.Date of Interview-28.09.2015 at 12:00 Noon. Drawing Teacher (Master)-01 Post.Date of Interview-29.09.2015 at 12:00 Noon. These jobs are for University Sr. Sec. Model School, Kurukshetra University, Kurukshetra or the session 2015-16 or till the classes are over or the regular appointments are made, whichever is earlier.The eligible candidates are advised to attend walk-in-interview on the prescribed dates. Qualification-Bachelor Degree in Engineering in Chemical/ Petrochemical/ Chemical Technology/ Petrochemical Technology with 65 % Marks. Qualification-Bachelor Degree in Engineering in Mechanical/ Production & Industrial/Production/ Manufacturing/ Mechanical & Automobile with minimum 65 % Marks. Qualification-Bachelor Degree in Engineering in Electrical/ Electrical & Electronics with minimum 65 % Marks. The Central Board of Secondary Education CBSE has been issued Admit Cards for Central Teacher Eligibility Test (CTET) September 2015.This year this test will be held on 20.09.2015 at various exam centres in India.Candidates can download their roll no./admit cards by entering their registration no. as well as date of birth for the above said exam.If any candidate not find their roll no.on CTET website,he/she must contact CBSE office beteem office hours along with proof of their candidature for CTET September 2015 examination,failing which the CBSE will not be responsible for non-issue of Admit Card.The fees paid,will not be refunded in any circumstances.This admit card is compulsory to enter in the examination hall.No entry will be allowed without admit card. The office of Registrar Kurukshetra University,Kurukshetra issued an advertisement to recruit 113 Assistant Professor in various subjects for various departments of Kurukshetra University,Kurukshetra.These posts will be filled by Walk in Interview. Assistant Professor for Department of Foreign Languages -01 Post (One for French). The Board of School Education Haryana (HBSE) has been issued a notification for update exam centre of Haryana Teacher Eligibility Test 2015.Now candidates can update all three exam centres who was filled by the candidate at the time of online application for HTET 2015.Registration no. and date of birth is compulsory to login the application form.It is notable that this year HTET may be held on 07.11.2015,08.11.2015 or 14.11.2015 and 15.11.2015.Board sent a proposal to Govt. of Haryana about new dates.As per information of our sources all candidates can fill choices of three districts from 04,09.2015 to 13.09.2015.Candidates who have opted Computer Based Test (CBT) can also resubmit their choices.As per statement of Education Minister M.r Ram Bilas Sharma now HTET 2015 will be held in the home district of candidate. Qualification- Graduate in any discipline +Diploma/Certificate Course in Computer Applications + One year experience. Height- : Not below 158 cms for Male and 152.5 cms for Female candidates. 2.5 cms Relaxation to SC/ST candidates. Date of Interview-11.09.2015.Time of Interview-09:00 AM to 12:00 Noon. Venue of Interview-Hotel La Paz Gardens, Swatantra Path,Opp. Children’s Park,Vascoda-Gama, Goa-403802. Age as on 01.09.2015-Upto 28,OBC-31 and for SC/ST-33 years.Relaxation in age for Ex-servicemen as per Government guidelines. The Board of School Education Haryana has announced the date sheet for September-October 2015 1st and 2nd Semester Regular and Reappear students exam for Secondary and Senior Secondary classes.The examination will be start from 29.09.2015.Date sheet issued on official website of Board of School Education Haryana www.bseh.org.in on today 02.19.2015. Examination September-October 2015. Date of Commencement of Exam 29.09.2015 (Tuesday).